If you sport a beard, then you must use some dedicated beard maintenance products to grow, maintain and style your pride and joy in the best possible shape. Unlike your scalp hair, beard hair needs daily cleansing, grooming and conditioning. So today, I will be recommending some of the most useful beard maintenance products to include in your beard maintenance kit. Beard oil is one of the most important items for a beard maintenance products you can have in your kit. A good beard oil can help keep your beard and moustache hair in top condition. What it basically does is conditions and softens your beard hairs. 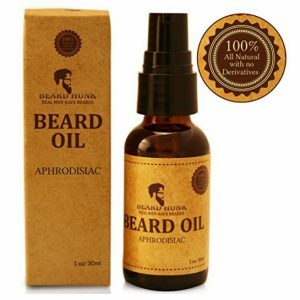 Beard oil also provides long lasting hydration and coating on your hair and skin for a supple and well groomed look. Beard oils consist of carrier oils such as Jojoba, Argan, Olive, Coconut or Sweet Almond oils as well as essential oils like Cedarwood, Cypress, Patchouli, Neroli, Sandalwood, Lavender or Rosemary essential oils, etc. These ingredients work on the roots and follicles of beard hair and nourish them for growth and strength. You can always make your own beard oil, and on this site you will find several simple beard oil recipes. Make sure you use the best essential oils when making your own beard oils. Gone are the days when men used female lotions or hand or body creams on their faces. Today, cosmetic companies are formulating special male grooming products manufactured especially for the manly skin and hair. Likewise, you must not use scalp shampoos for washing your beard. Beard hair is different that the hair on your scalp. The ph of your scalp and that of your face are also quite different. Beard shampoos are especially formulated to cleanse your facial hair without over drying it or stripping it off its natural oils. They help control oily build up and sebum accumulation to maintain acne free skin. A good quality beard shampoo is devoid of sulfates and parabens and helps revitalize and recharge your facial hair. It cleans, softens and detangles unruliest of hairs to control frizzy, flyaway or stray hair. A good beard shampoo also fights dandruff and ringworm and therefore must be made an important part of one’s daily beard care maintenance routine. There are two kinds of beard conditioners. One is the leave in type and it is not much different than beard oils discussed above. The other is the after-wash conditioner that you can use on your beard after shampooing it. Both these beard maintenance products are an essential part of the beard maintenance kit. Conditioners consist of hair straightening oils like Jojoba oil or Argan oil. They nourish the beard and minimize itchiness. 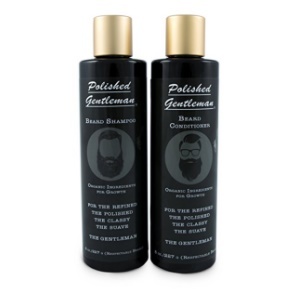 Beard conditioners also impart a nice shine, body, texture and softness to unruly beard hair. Moustache wax holds, tames and molds the moustache. It is made with essential oils, carrier oils and body butters that work synergistically to add texture and volume to your moustache. A good moustache wax will not change the color of your hair so look for a product that is made for your particular hair color. Moustache wax also leaves your moustache smelling great all day long. 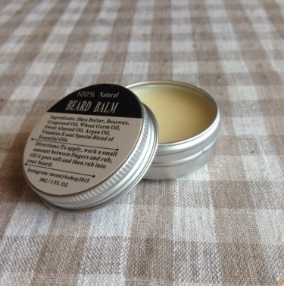 Beard balms condition and tame unruly beards and also make your facial hair smell great. A good beard balm ideally contains ingredients like Shea or Cocoa butter along with essential oils. Other ingredients you may find in beard balm are beeswax and lanolin. Beard balms are heavier than beard oils-so a little goes a long way. They protect the hair from drying and increase cell turnover to repair damage. You can use beard balms the same way you use beard oils-after shampooing or at nighttime to condition and nourish the beard. A good quality boar bristle brush is essential part of your beard maintenance product kit if you have a long beard that is prone to tangling. 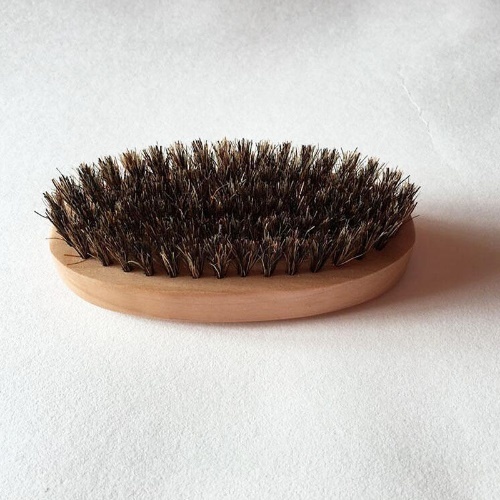 A boar bristle brush is better than plastic or metal brushes which abrade the skin and even cause hair breakage. A good quality beard brush will gently detangle your beard hair and also promote blood circulation. Boar bristles are the best material for beard brushes as they gently remove dandruff, flakes and debris without harming your hair and skin. When used regularly, boar bristle beard brushes can impart a luxurious shine to the beard hair. Not all men sport long beards. And every man (irrespective of facial hair or not), must keep a trimmer in his beard maintenance kit. 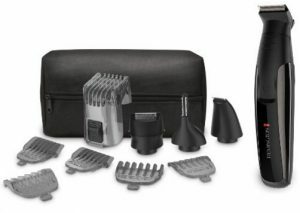 A beard trimmer allows you to trim, style and define the shape of your beard. A good trimmer will have a beard comb for a skin friendly shave and also be made with self sharpening titanium blades that give a close shave without damaging the skin. Look for a trimmer with washable blades. A beard shaping tool is a two sided template comb with teeth. 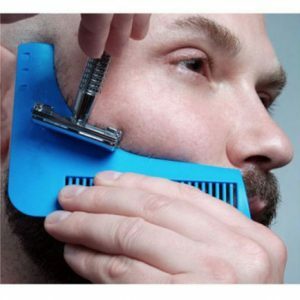 Not only does this help you detangle your beard gently, it also allows you to trim with extreme precision. You can use the beard shaping tool around your neck line, jaw line and even for a goatee. Look for a product that is made with quality plastic that is anti static, combs smoothly and does not hurt your skin. If you really want the luxurious beard you have always dreamed of, you need to correct the underlying deficiencies that may cause hair fall and weakening of hair. Split ends, poor or dull texture, patchy hair loss and stunted beard growth are often indications of underlying deficiencies. With daily intake of beard vitamins, you can prevent these issues. A good beard vitamin formula will contain Biotin, vitamin A and vitamin C. It will also contain DHT blockers (DHT is the main cause of hair fall.) Apart from hair growth, a good beard supplement will also make your skin glow with health. Look for a formula that contains all natural ingredients as you certainly do not want to put artificial stuff in your body. Have I missed any beard maintenance product for your beard kit? Comment below!